When planning a road trip in the United States, there are two popular options: the northern route and the southern route . We'll be analyzing the northern route here, covering the states from Maine to Washington state. If a road trip is in your future, you can easily cover two different routes on your trip. This route will cover the states of Maine, New Hampshire, Massachusetts, Vermont, Connecticut, Rhode Island, New York, New Jersey, Pennsylvania, Ohio, Illinois, Indiana, Wisconsin, Minnesota, South Dakota, North Dakota, Idaho, Michigan, Wyoming, Oregon and Washington. 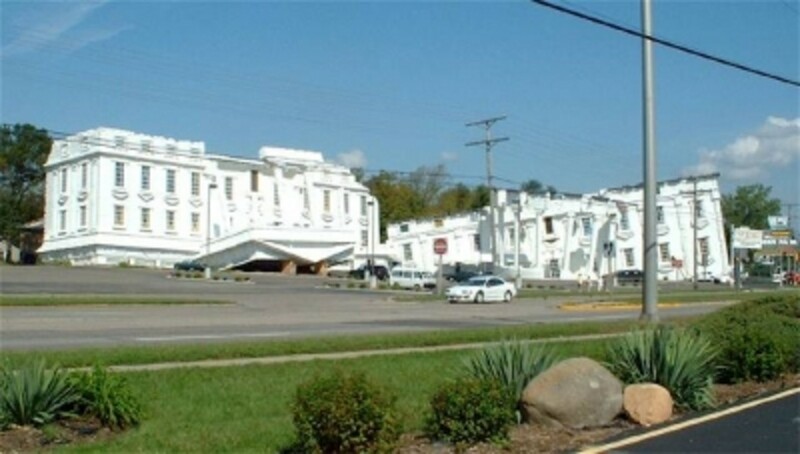 It will also give you a good idea of what to expect when driving through these states, where to stop, and what to do. Photo of Jordan Pond, Acadia, by kds4850 on flickr. Plan out your road trip route! Or, open up that Google Map. Now, figure out where you live on the big old map of the United States. Your beginning point should be as far east or west as you can make it to cover the most ground and see the most area. Heading directly east or west is best. The northern states covered in this lens number at 21. How many of the states covered in this lens have you visited? I've visited one state of the ones covered. I gone to just about all of them, but not all. I've visited ALL of these cool states! will be covered by only two interstates-- I-90 and I-84, as well as parts of I-5, I-15, and some smaller interstates in Wyoming. What can you Expect to See on this Route? This route will wind through the backroad areas New England has to offer, and shoot down to Manhattan and up New York state to see the Big Apple. From there, you'll head upstate to see the Catskills and Adirondack region. Once over those mountains, you'll proceed to Niagara Falls and across the cities of Erie, Pennsylvania, and over to Cleveland. This industrial area will lead to open prairie land until you reach the city of Chicago, which will turn back into prairie once leaving (very quickly, too!). Wisconsin and Minnesota landscape on the southern side will be flat farm land, but to the north lies some excellent parks and boreal forests. Once across Minnesota, you will enter the barren state of South Dakota. This will progressively become the Badlands region, culminating with Badlands National Park. This arid region transforms into the dry plains region of eastern Wyoming. Half-way across Wyoming, you will reach the Continental Divide, which abruptly separates the state. As the interestate becomes less and less crowded, you'll visit the national parks of Yellowstone and the Grand Tetons. A slow descent and over Hells Canyon in Idaho will bring you to Washington state. 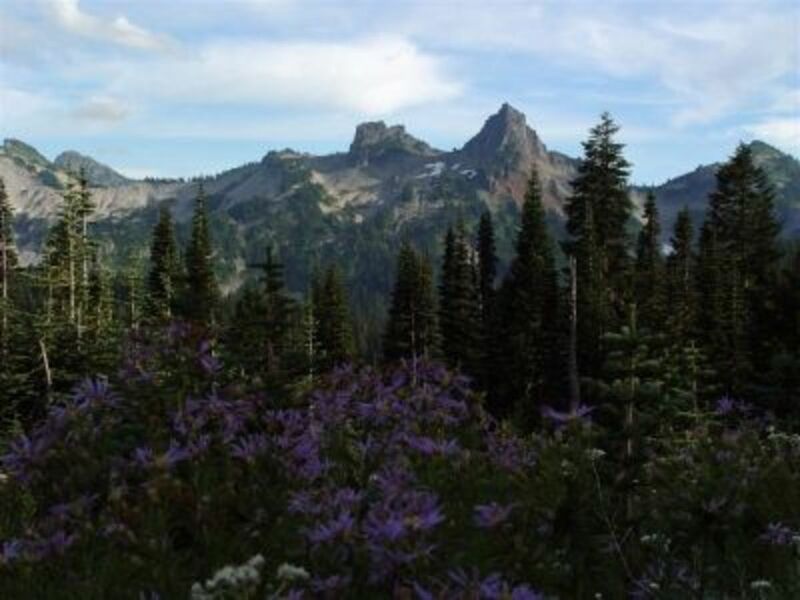 The high, mountainous region contains many national parks. This road will seemingly slant directly towards Seattle and the Washington shore. A trek down the Washington coast is an amazing journey, perfectly complimented with the high cliffs and waterfalls of Oregon. 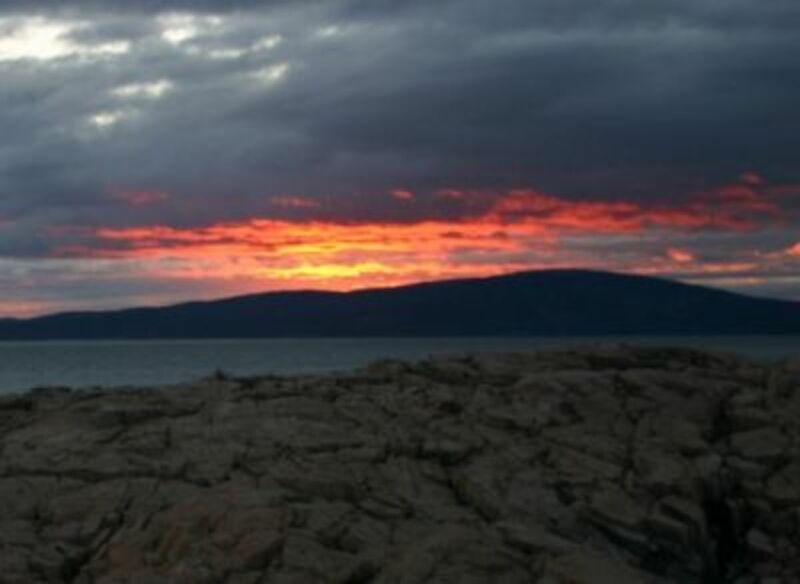 Maine and Washington are beautiful destinations to set your trip to. The rugged coastline of Maine is unlike the rest of the east coast, as you will quickly notice if you visit the rest of the eastern seaboard. Craggy shores lined with pines and firs make for dramatic New England scenery and a relaxing vacation spot. Maine is famous for a number of old lighthouses...over 60 to be exact! These antique maritime navigational aids are easy to reach from Route 1. Just like the Pacific Coast Highway of California, Maine's Route 1 provides outstanding views and the most direct route to all of the shoreside destinations of Maine. A few lighthouses you may recognize in particular. 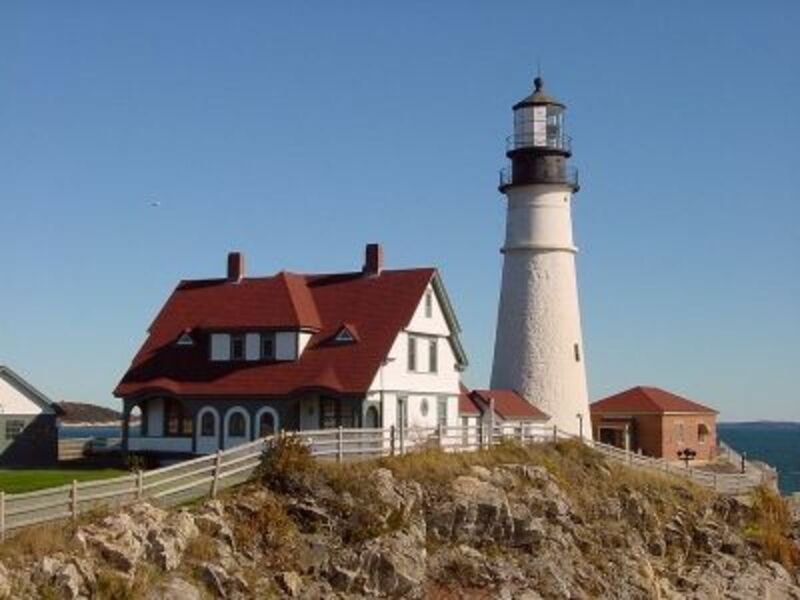 The massive Portland Headlight is the oldest in the United States (1791). 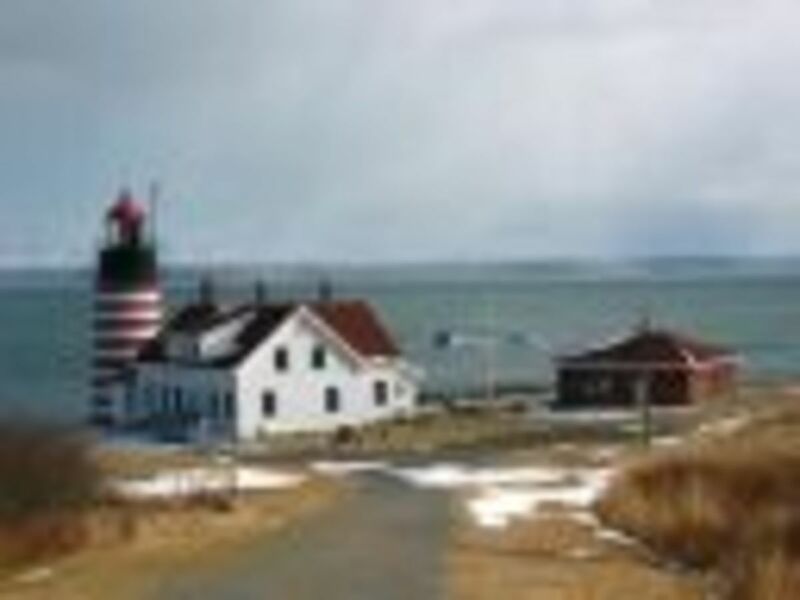 At the top of the state, right on the US-Canada border, is West Quoddy Head Light. This striped red and white lighthouse is on the easternmost point of the United States. The weather in Maine is very cool, nearly all year long. Temperatures rarely crest over 80Â° due to the high latitude and closeness to the cool Atlantic air. Expect nighttime temperatures to take a drop. Bring sweatshirts with you everywhere towards the end of the day or on the open ocean. Starting at Acadia National Park, you can take Route 1 south along the coast to see all of the small Maine towns like Bath, Boothbay Harbor, Kittery, the capital of Portland, Rockland, Freeport, Kennebunk and Wells. From Portland, I-302 will take you directly into the White Mountains of New Hampshire. What's cool: The small beach communites, rocky shores, great food and unique seascapes. You would think that everything is completely settled and concrete in terms of boundaries between the United States and Canada. Machias Seal Island off the coast of Maine and New Brunswick is still disputed as being part of either country. New Hampshire is just a short drive from Maine. 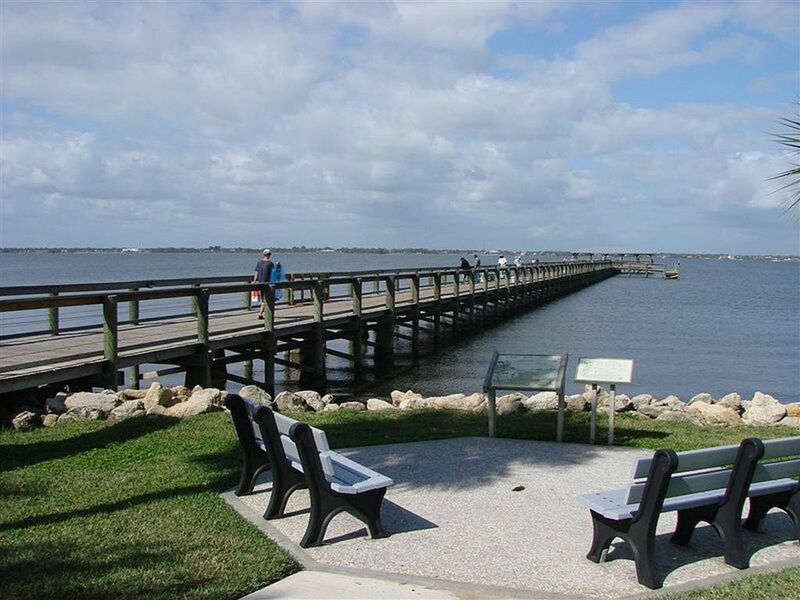 It is a small state, but has plenty of sites to see in this small area. The White Mountains are the state's primary destination, which are located in the middle of the state. From Maine's I-302, you will be dropped right into the middle of the White Mountains and the town of North Conway. 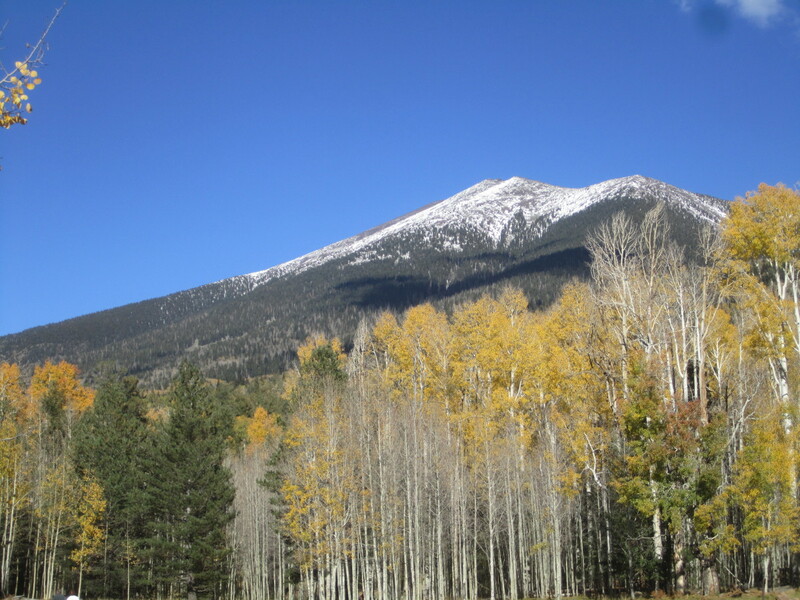 Nearby is New England's highest peak, and reportedly the windiest area of North America, Mt. Washington. From North Conway, be sure to visit Franconia Notch and the famed Kangamangus Highway. This road winds through the White Mountains National Forest and is of "National Park" proportions. For a real treat, see this area in the peak fall foliage times of late September-early October. From the White Mountains area, hop onto I-302 again west until you reach I-91 south. Heading south on I-91 will hug the Vermont-New Hampshire border until you reach the town of White River Junction. At this point, head north on I-89 to visit some small Vermont towns. What's cool: The unmatched New Hampshire fall foliage, the easily accessible mountains, and the clean pine air. There are so many things to see in New England, it can be helpful even for a native to have a guide to see the best areas. This guide provides some of the best areas, well-known and hidden, to navigating the six states of New England. This will definitely enhance your trip. 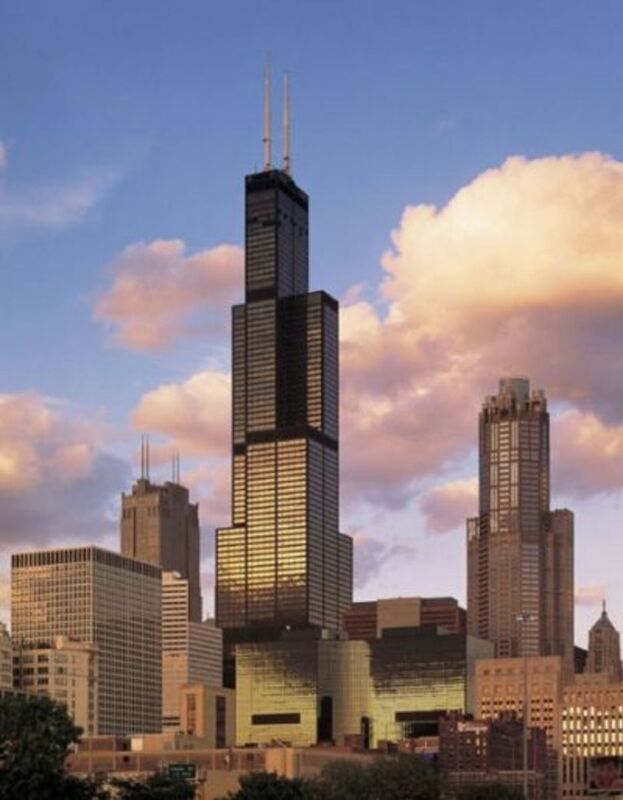 Chicago's O'Hare International Airport was 2nd busiest airport in the world in 2005! Don't bring this on your road trip! Unless you're hunted down old, extinct roads, this won't do you much good. But they look really cool! ...Wyoming is the least populated state in the country at around 522,000. By comaprison, New York City's population is 15 times greater than the entire state. Like the cover of this book states, mountains, wine tours, markets, islands, seafood and wildlife are all included. The DK Eyewitness Guides has a unique advantage of being the "guides that show you what others only tell you." With excellent reviews, you can rest assured this book will compliment your trip to the Pacific Northwest perfectly. Need More Road Trip Info? Visit our US Road Trip lens for packing tips, gas saving methods, hotel strategies, pictures and facts! Don't Get Lost on your Road Trip! - Garmin Navigators, don't leave home without them! Find your way around the country in a snap! Don't settle for gas station directions, huge foldout maps, or guesswork ever again! Highly rated by customers, Garmin makes an excellent system to navigate you across the country so you'll be lost much less. A cool free image site that you can download a desktop screensaver or use images to your site as long as you link back to them! A five star book on Amazon and over 35 people have reviewed it? It's true! Check this book out for it's amazing pictures...read the reviews and you'll see how great this book really is! Starting at West Quoddy Head at the Canadian border, you'll be on Interstate 1. This road travels the entire coastline of Maine. Follow Route 1 south approximately 95 miles south to Mount Desert Island. 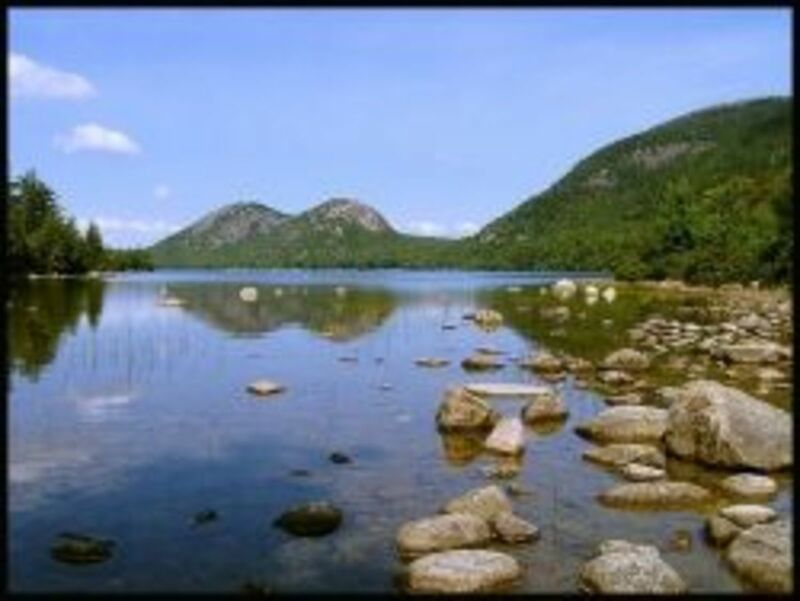 In the town of Ellsworth, take I-3 south down the peninsula to Acadia National Park. After visiting Acadia, travel north back up I-3 to I-1 (Acadia National Highway). Follow this beautiful highway south all the way to the town of Brunswick, Maine, and merge onto I-95 south towards Portland. Once in Portland, the White Mountains of New Hampshire are your next stop. Travel north up I-302 65 miles towards North Conway. You will pass by Mount Washington on this route. From North Conway, travel south on Highway 16 to Highway 112, the Kancamagus Highway. From the end of Highway 112 in Lincoln, enter I-93 north. A few miles north is Franonica Notch State Park. From here, travel back south on I-93 for 19 miles to Plymouth, New Hampshire. Take Exit 26 towards Rt. 25, then Route 118 towards I-89 north. Follow I-89 north to the I-4 exit in White River Junction. On I-4, you will quickly reach Vermont and the Queechee area. Follow I-4 to the town of Woodstock and through the Killington peak area. I-4 will merge with I-7 at Rutland. Traveling up I-7 will bring you to beautiful Lake Champlain. A ferry ride across or a quick drive around the lake will lead to New York state. I-2 will drive across the islands of Lake Champlain and along the border of Canada, into New York state. I-2 will merge with New York I-87. Take this road south to the Adirondack region. I-87 south will travel along breathtaking Adirondack scenery and parks. South to Albany you will find I-90. Take I-90 east towards Massachusetts and the Berkshire region. On I-90 (the Mass Pike), take I-7 north towards the country towns of Lenox, Lee, Williamstown and North Adams. In Williamstown, take I-2 east towards North Adams. This is the scenic Mohawk Trail. Follow for about 35 miles to I-91 in Greenfield south to the Springfield area and I-90 (the Mass Pike) east. Follow I-90 east to Boston, an approximate 90 mile drive. From Boston, you can take I-93 south to Braintree. Take Rt 3 south approximately 25 miles south to historic Plymouth and Cape Cod. Rt 3 will become Rt 6 once crossing the Sagamore Bridge. Follow Rt 6 to Cape Cod destinations like Chatham, Hyannis, Provincetown and Truro. Follow Rt 6 back all the way back across the Sagamore Bridge to Rt 6 west alongside the Cape Cod Canal. Follow this road to Rt. 25, which will become I-495. Take I-195 west towards New Bedford and Fall River approximately 24 miles. From the Fall River area, take Rt 24 south to Rhode Island. 24 will become Rt 114. Follow this road all the way to Newport, Rhode Island. From Newport, take Rt 138 across the Newport Claiborne Pell Bridge, then across the Jamestown Bridge. Continue along 138 towards I-95 south. 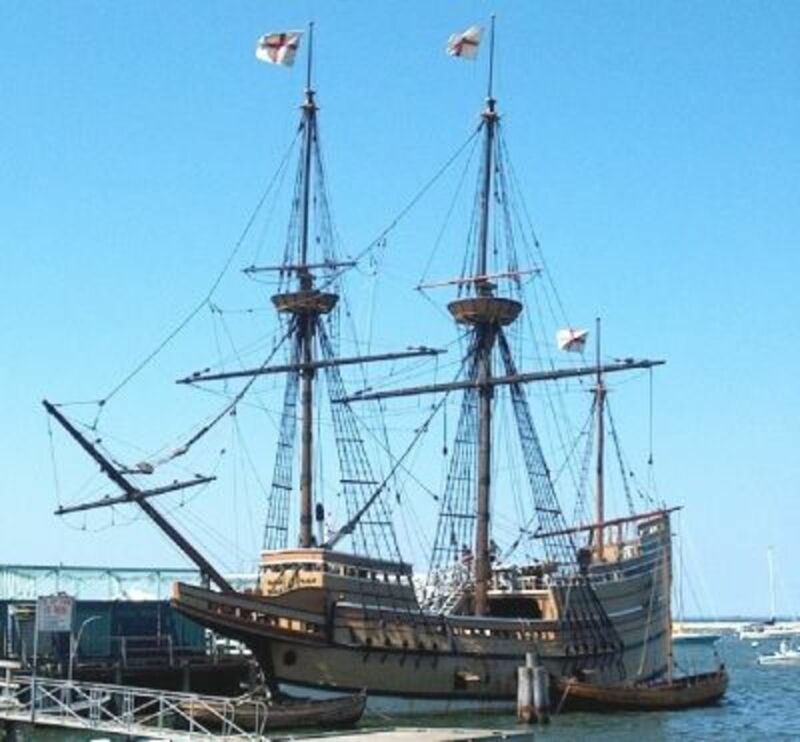 I-95 south will bring you to Mystic, Connecticut. Manhattan is approximately 125 miles to the south of Mystic on I-95. I-278 south will bring you directly towards Manhattan. From the Holland Tunnel or over the George Washington Bridge, you will find the state of New Jersey. At this point in the trip, you can either head north along I-87 towards the Hudson River Valley or south on I-95 towards Philadelphia. A fun side-trip is Cape May, New Jersey, on the very end of the peninsula. To reach Cape May, follow I-95 south towards I-9 and the Garden State Parkway. 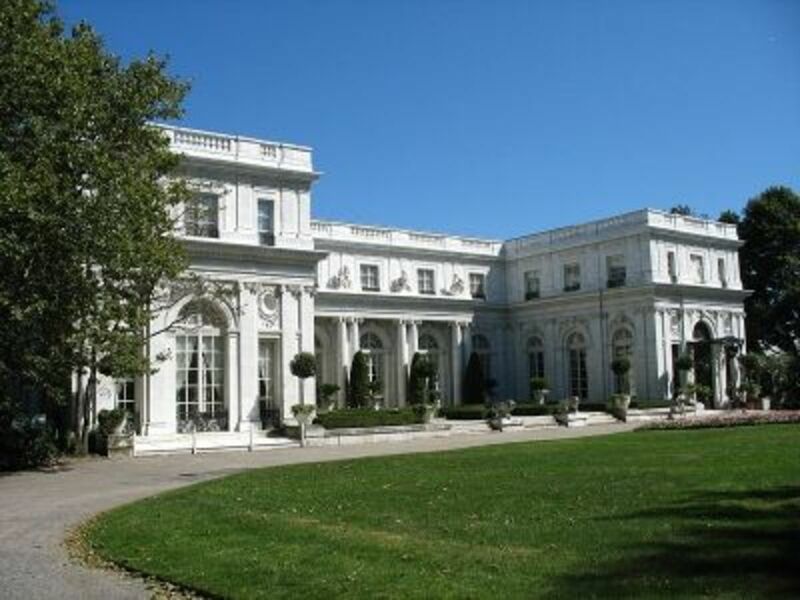 The Garden State Parkway leads directly to Cape May, a 3-hour drive. To reach Philadelphia, travel north on the Garden State Parkway to the Atlantic City Expressway. This expressway will merge with Rt 42 north towards I-76 and I-676. Philadelphia is about 6 hours from Niagara Falls, New York. Follow I-76 west towards I-476 north. In Scranton, take I-81 through New York State towards Syracuse. Follow I-90 west towards Niagara Falls and Buffalo. I-290 and I-190 will take you directly to the falls. Cleveland is an easy 3 hour drive south along I-90. From here, you can decide to take the trek up the Michigan peninsula, or towards Chicago. Of course, you can do both! To reach Chicago, stay on I-90 west for about 5 hours. 90 minutes to the north of Chicago is Milwaukee. Take I-94 north towards this city in Wisconsin. I-94 will lead directly towards Minneapolis. From here, take I-90 west towards the Wisconsin Dells. The plains area is a nice scenic drive, with rural farmland, but can get redundant. Bring out the music for this portion of your trip along I-90 towards South Dakota and the Badlands. After a 10 hour drive, you will reach South Dakota's Badlands National Park, Mount Rushmore and Wind Cave National Park. Follow I-90 west to Wyoming towards Devil's Tower National Monument. I-14 north will lead directly to Devil's Tower. An approximate 8 hour drive across Wyoming's back country will lead to Yellowstone National Park. Take I-14 back south towards I-90. I-90 west will lead to I-14 in Rachester, Wyoming. Take I-14 south towards Cody, Wyoming, and Yellowstone National Park. From Yellowstone, travel south to I-191 to the Grand Tetons National Park and Jackson, Wyoming. In Jackson, I-26 will lead directly to Idaho Falls, Idaho. From here, I-15 south will lead to I-86 west. This will merge to I-84 west to Boise, Idaho. 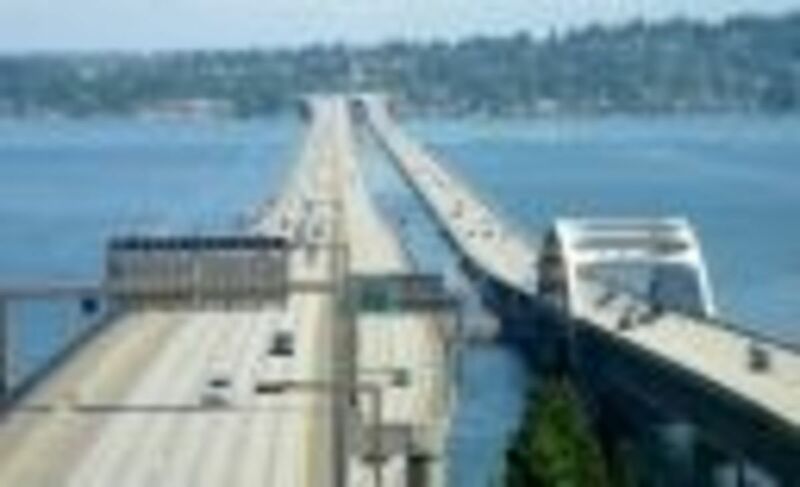 I-84 west will lead directly towards Washington State. Take I-82 north across the state towards Seattle. From Seattle, follow 104 towards Olympic National Park. I-101 will lead to most of the attractions of the park. Follow I-101 to the coast of Oregon and enjoy the seaside vistas. What's Your Favorite Road Trip Destination on the Northern Route? - Tell us about your trip here! @accfuller: Thanks! It was an amazing trip. The northern part of the US has a lot of hidden gems. I'm especially fond of the northern route. What a wonderfully crafted lens! I feel like I've been on a road trip! Blessed. The video posted in this lens are awesome and I come to know that the road trip of Northern U.S is full of adventures. Minneapolis - The City of Lakes! What a wonderful US Road Trip! Makes me want to pack my bags and head out now. Last summer my husband and I took a road trip down from southeastern BC through to a medical conference in Las Vegas Nevada. It was a 3 day road trip down and a 3 day road trip back up. It was great all the great landmarks and tourist stuff that we managed to get in on the trip. We had a ball touring the US and my husband spent the next months marking out our next trips up that way. This is the area of the country I am most familiar with, traveling through every state listed except the Dakotas, Massachusetts and Rhode Island. The pictures are beautiful! My favorite place to live has been southwest PA, and my favorite vacation spot has been the White Mountains in NH. Great lens. I will take a month this summer or next summer and turn this into a memorable road trip. Thanks for sharing. What a wonderful travel lens! Great photos and info, can't wait to take another road trip myself. I've visited and/or passed through most of these states and Maine was my favorite which I visited in the year 2000. I spent a few days at Acadia National Park and would love to go back again to see Acadia and other scenic places in Maine. OMG that is some serious road time, but some lovely areas. Nice lens! That's a great route for a road trip! Awesome lens! I love road trips - thumbs up! @frugalfurguy: I agree about the interstates - must use the secondaries to see the good stuff. Fantastic lens! Except the part about Washington... On the east side of the mountains, we get quite a bit of snow! We've had several days of 2-3 feet of snowfall in 1 day! Love the rest, though! Beautiful photos. You don't get to so many of those scenes without getting OFF the interstate! As a bicycle tourist, I almost always find interstates and the kind of jumbles of building they tend to attract singularly ugly, and I try to scout routes to spend as little time possible in their proximity. For the most part I'm not even allowed to ride on them, anyway! Thanks for sharing your insight and experience. My advice: two wheels. Back roads. It might take more time, and there will be hassles. But you'll get to know the places you cross! Love your road trip lenses. 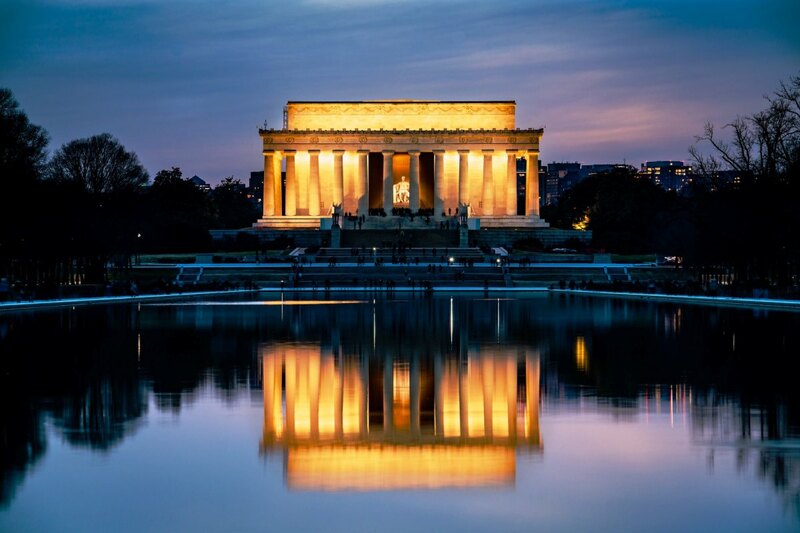 Blessed and added to United States Travel Angel lens. I have been to every one of these states except Oregon. Washington is my favorite. Blessed by neighborhood Travel angel. Added to www.squidoo.com/angel-of-travel . I'd love to take a cross country road trip, nice lens..
back in 2007 we went on a month long road trip up north canada to smith falls, ottawa it was gorgeous up there. I wish I would have taken more pics. we plan to go back again and see montreal and quebec next time.. i've added you to my blog roll photo and video lens of niagara region in ontario canada. beautiful pics. Thank you for sharing them! I'm actually planning a very similar road trip in the coming months, so this lens is both useful *and* excellently-written! Also, I appreciate that you distinguished upstate NY from NYC (not that I would expect otherwise, since you're from nearby MA). 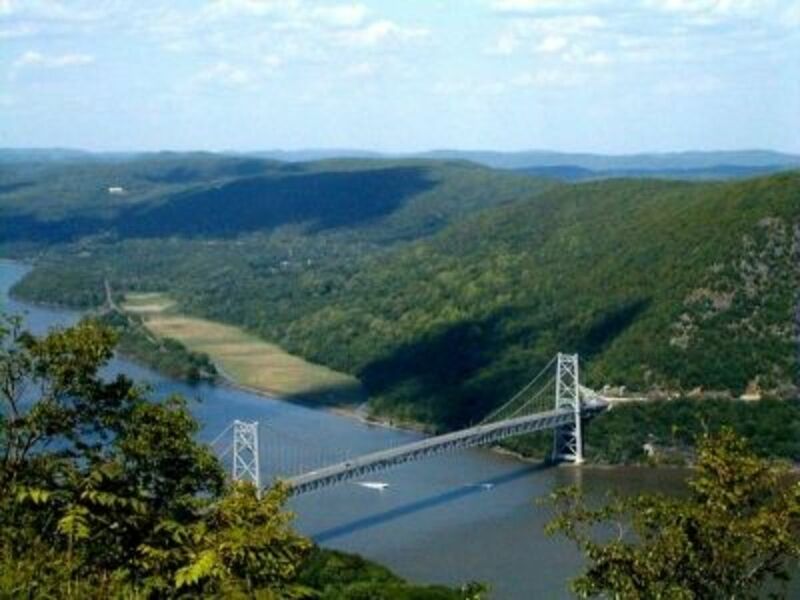 I love that photo of the Hudson River Valley -- and, for the record, yes, some parts really are that gorgeous. The Adirondacks are beautiful as well, so I was happy to see a mention. I'll definitely look back at this for my own road trip. Awesome lens! I made a Northern Cali, Oregon, Washington State trip and I loved Crater Lake. It was so unique! Beautiful lens, it must have taken a while. Thanks for sharing and being so detailed. It helps to know what to expect and what to watch out for. Now I can't wait to take this road trip. Michigan, but to be fair it's because I'm from there. There is so much to discover in Michigan, and I have yet to make it to the U.P. Very nice lens. Thanks. I gave you a thumbs up, because it's a nice lense. Wow you have some awesome information here! Very helpful and useful! I featured this on my lens titled The New Alpine Coaster in Duluth, MN - for fun things to do in Minnesota. Great job! Gorgeous lens with great photos and information! From Minnesota, I've done a loop west and a loop east so I've covered the entire thing. The great thing about doing the western loop is that we went the southern route that you have shown and then came back on a more northerly route so we got to do Seattle, glacier national park in northern Montana which was FABULOUS, and North Dakota. You always have such great travel lenses! This is great, I just went on a tour of America from my office chair! Wow! What an amazing road trip! I would love to take a long road trip such as this. I'm so happy for your that you been able to see so much of this wonderful country we live in. Thanks you for making a lens of your Northern Route for everyone to enjoy. - This will for sure get a lenrolls. I am going to take a road trip this year from San Diego to Vancouver. Not sure exactly which route as I have done the coast line a number of times so want something different this time! Angel Blessings to you for another great travel lens. wow, what a wonderful trip. I'll come back again to see more beautiful place of the north! 5* for the great job! You've raised the standards for all lens makers. The thumbnail photos are very effective. I love it. Every lens you do is fantastic. Another awesome lens! Five * from the stores board. What can I say? Another Angel Blessing for you! Welcome to All Things Travel. Love it! I've been to New York and Mass., but not to Maine. Its on my someday list.